Nature has blessed Wilderness with a pleasant, temperate climate; it is unique in Africa as the only area in which rainfall occurs throughout the year. And, to cap it all, most of our rain falls at night! It's the ideal climate for a visit - at any time of the year! Dolphins and whales visit our shores to calve from July to November every year. Wilderness also has a great number of craftsmen and women in the area. 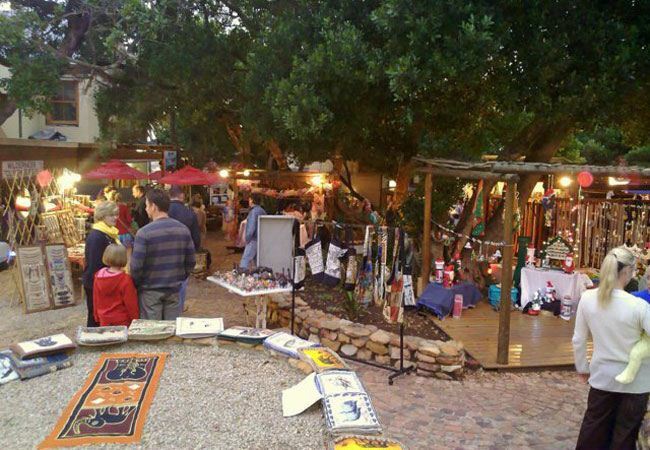 Their work is often for sale and the tourist can pick up many bargains at the craft markets. This, and many other interesting aspects of the town, adds to it's rustic charm. Enjoy the many scenic drives in and around Wilderness. Take a drive to the viewpoint at the Map of Africa or experience the Seven Passes road. 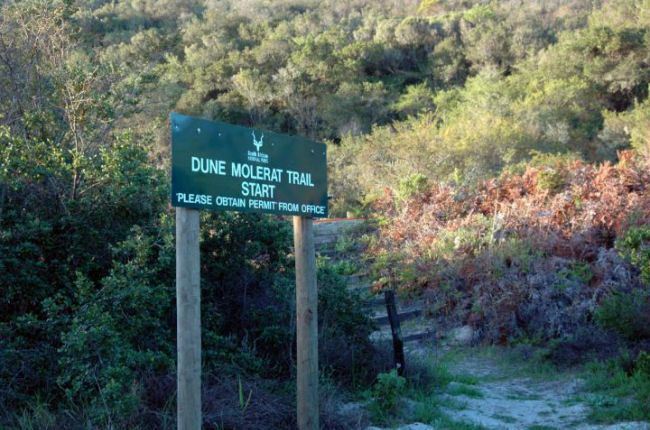 This is a very sandy trail, where you can see the Fynbos and beautiful Proteas close at hand. It is also a circular route with no shade. This is also through the forest and leads to the river. This trail is also popular for bird watching. 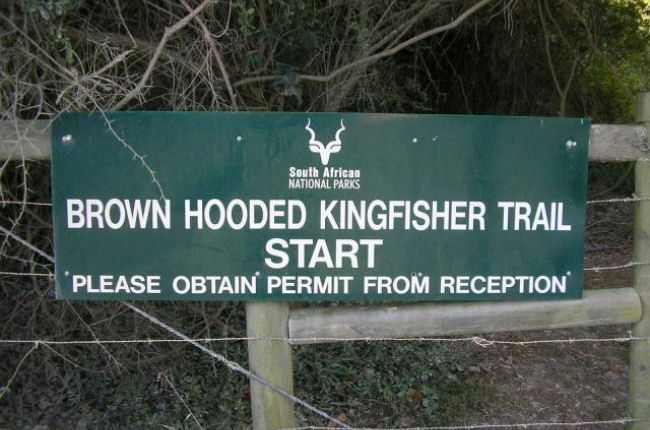 This trail is mainly used for bird watching. It is a flat circular route which takes you through the Serpentine which mainly consists of Fynbos. It is an open trail with no shade. 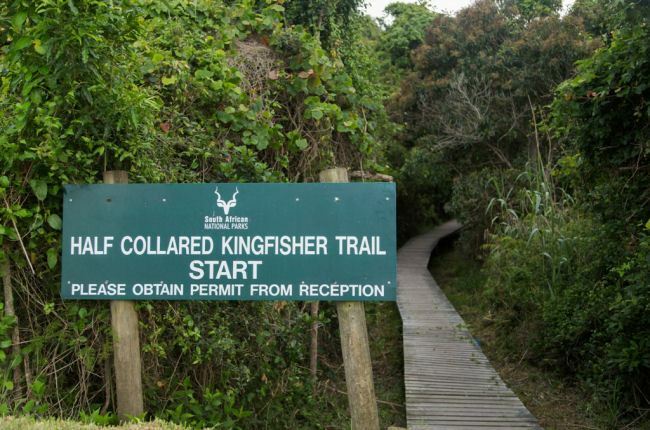 There is a section of the trail which combines with the beach. You’ll be able to walk along the beach to Wilderness Village and back to our Camp. It is a little strenuous in the beginning of the trail but it does get easier. It is the only trail that leads to a waterfall. You are allowed to swim and picnic at the waterfall. This trail is on the opposite side of the Half Collard. It is a nice shady walk through the forest, you are likely to see most of our birds e.g. the Knyzna Loerie, Giant Kingfisher and the Fish Eagle. You will also see the Yellow Wood Trees. 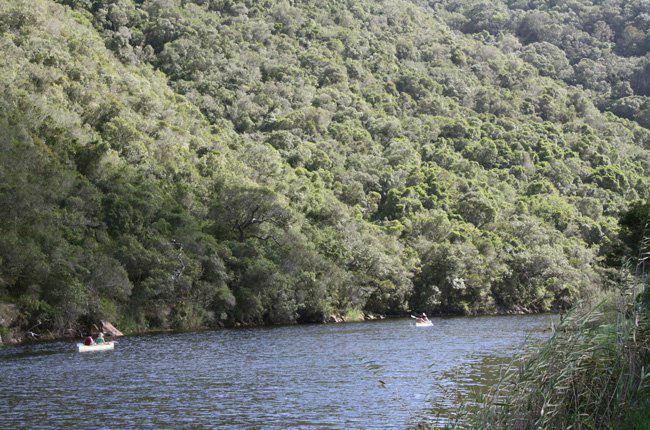 Surrounding Wilderness is Knysna, George, Oudtshoorn and Mossel Bay. 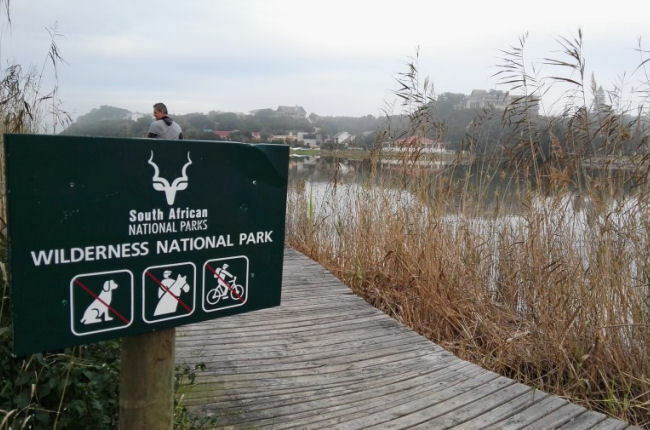 George is only 10km west of Wilderness, Knysna about 50km from Wilderness on the N2 a beautiful 40-minute drive through the Garden Route's "Lake District". Canoeing, swimming, surfing, sailing, cycling, abseiling, horse riding, paragliding, deep-sea or surf- and rock fishing, canopy tours, helicopter rides, Choo-tjoe steam train, birding, picnics, golf and bungy jumping. Wilderness is the mecca for paragliding.